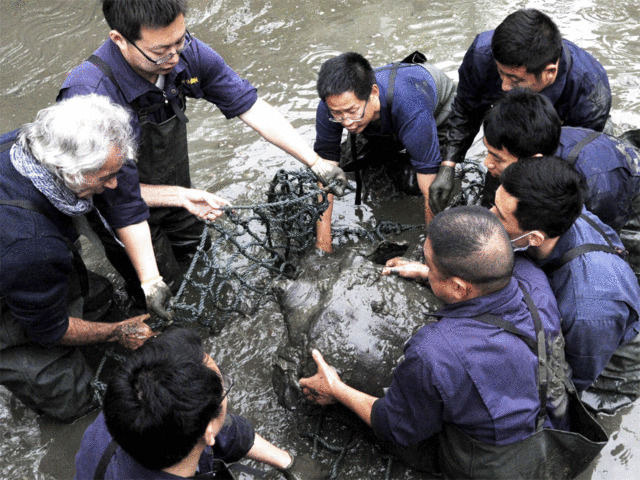 The only known female member of one of the world's rarest turtle species has died at a zoo in southern China, officials said on Sunday. 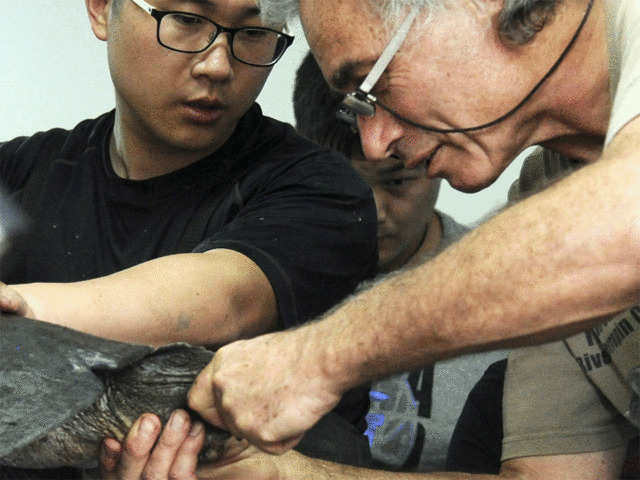 In pic - Researchers attempt artificial insemination on a female Yangtze giant softshell turtle at a zoo in Suzhou in eastern China's Jiangsu province. 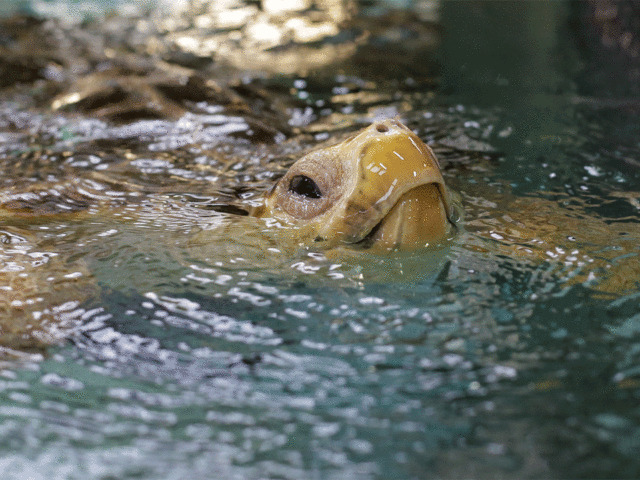 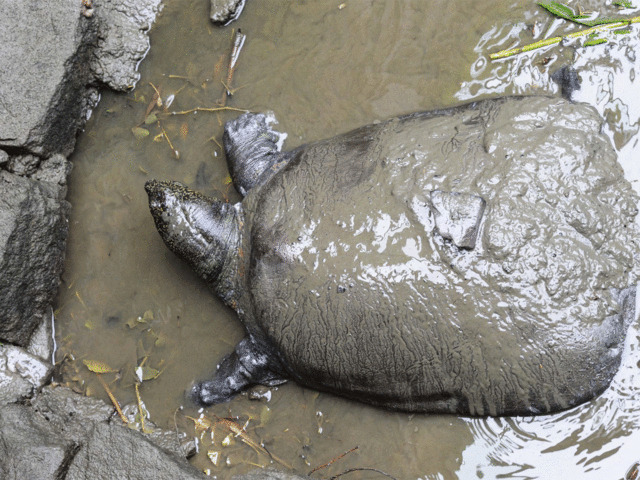 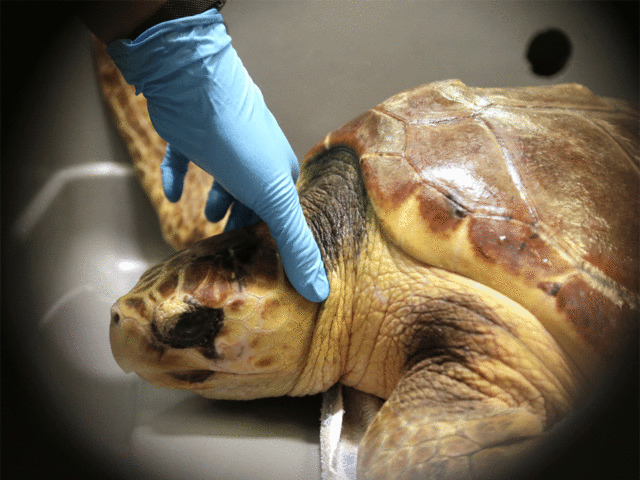 The only known female member of one of the world's rarest turtle species.